Willow Smith is seen attending Ebony Magazine's Ebony Power 100 Gala at The Beverly Hilton Hotel in Los Angeles, California. Willow Smith pulled her look together with a pair of pointy lace-up patent boots. 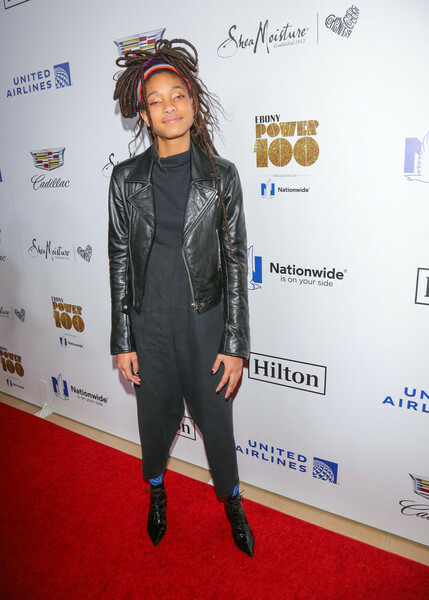 Willow Smith teamed a black drop-crotch jumpsuit with a leather biker jacket for Ebony's Power 100 Gala.